The amount of money first time buyers have to pay from their incomes to service their home loans is at its lowest ever level according to data from the Council for Mortgage Lenders (CML). First-time buyer loan sizes have increased since a year ago, though their income has grown faster in proportion relative to loan sizes which has meant a fall in the typical loan-to-income ratio. Loan-to-value ratios have also fallen compared to a year ago. 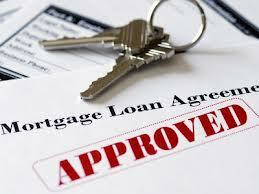 The typical amount borrowed by first time buyers was £125,545. Based on an income of £39,000 the capital and interest payment as a percentage of income was 18.5 per cent, down 0.3 per cent from a month ago and down one per cent on last year. The CML has said that competitive mortgage rates mean first-time buyers are paying less to service their mortgage than any time since it began tracking this in 2005. Despite increased affordability lending in April was weaker compared to a year ago and first-time buyers saw a decline in lending compared to March and April last year. This entry was posted in News and tagged affordable mortgages. Bookmark the permalink.